Doctor Strange at the Cinema in English. 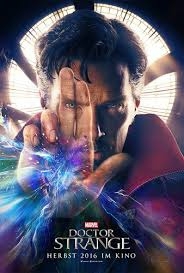 Now playing in English at the Gran Sur Cinema - Doctor Strange - a Marvel Studios film about a former neurosurgeon who embarks on a journey of healing only to be drawn into the world of the mystic arts. The original laguange version (V.O) is playing at the Gran Sur Cinema at 15.30 on weekdays and 12.30 on Saturday, Sunday and public holidays.